Last month, Enterprise Fleet Management announced that five automotive technicians in its National Service Department (NSD) had earned certification as an ASE World Class Technician, including four this year. The National Institute for Automotive Service Excellence (ASE) sets the automotive industry standard for technician certification. The ASE World Class Technician award is the highest honor that can be awarded to technicians who meet the qualifications for automotive service. Having the ASE World Class Technician credential provides assurance to fleet clients that they have access to an incredible wealth of automotive expertise that is the best in the industry. But what exactly do Enterprise Fleet Management’s technicians do? Enterprise Fleet Management’s National Service Department (NSD) has earned ASE Blue Seal Certification for 22 years in a row. To earn this honor, at least 75 percent of technicians performing diagnosis and repairs must be ASE certified. Additionally, each area of service offered by the business must be covered by at least one ASE-certified technician. The Enterprise National Service Department is staffed with over 200 employees to serve our Fleet Management clients. Services include maintenance and repair oversight, cost control, and authorization of payment to repair shops. Enterprise NSD technicians also provide recommendations to our clients about vehicle care, request support from manufacturers and national account vendors; notify clients if there are vehicle safety recalls; and answer roadside assistance calls. Enterprise Fleet Management’s NSD technicians use their automotive repair and maintenance knowledge every day. Their expertise is used to ensure that clients’ vehicle repairs are quality, on time, and done at the right price. By providing clients with this expert oversight, technicians work to minimize maintenance costs, helping to reduce a vehicle's Total Cost of Ownership (TCO). Based on symptoms and/or findings, and what is known about the vehicle, Enterprise Fleet Management technicians analyze whether the shop’s diagnosis is accurate. Technical support is provided to ensure that vehicles are fixed the first time to prevent additional repairs, expenses and downtime. While the shop’s repair estimate may be one solution to fix the vehicle’s problem, an Enterprise technician may ask if there are other options to consider? Often, they find that there could be lower cost repair alternatives, which would also meet safety standards. Do clients understand which of the recommended repairs are the ones that should have the highest priority? Enterprise Fleet Management technicians provide advice to help clients identify which repairs and maintenance items should be addressed first to prevent future issues. Ultimately, this level of support helps keep a vehicle’s TCO expenses balanced and drivers in well-maintained vehicles. Vehicle maintenance is among the top three costs for fleets. It competes directly with depreciation and fuel expenses. 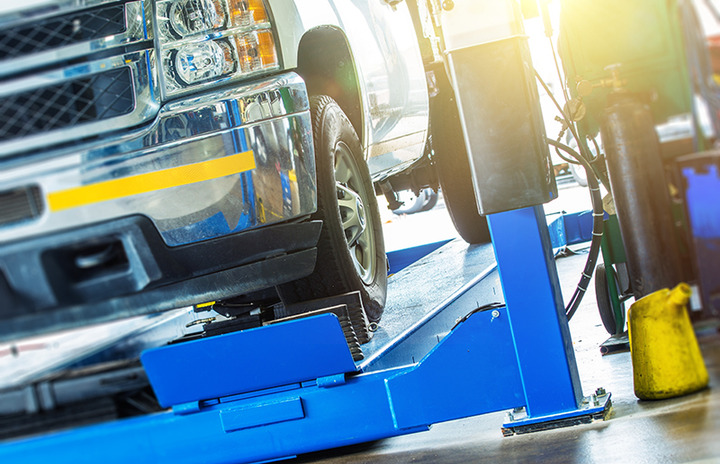 Vehicle maintenance cost is a huge opportunity for most fleets to reduce unnecessary spend if they leverage the service industry expertise to manage the repair process. With help from the ASE World Class Technicians at Enterprise Fleet Management, companies can gain more control over their TCO. By having ASE World Class Technicians on its National Service Department team, Enterprise Fleet Management can handle all types of repairs for any vehicles. Enterprise Fleet Management’s clients can have peace of mind knowing that they have experts supporting their needs, regardless of the types of vehicles in their fleet. The ASE World Class technicians at Enterprise Fleet Management work to help clients, every day, with any maintenance-related challenge.